Police in North Texas are searching for an aggressive coyote that attacked two women early Monday morning — the fifth coyote incident in the area since October. The two friends were out for a morning jog in Frisco just before sunrise when the coyote attacked. They say their bite marks could have been worse if not for a good Samaritan. "They were like, 'Let us in your car.' I'm like, 'Yes, please get in my car, get in my car.' And so I unlocked the doors and they jumped in," Michael Harvey said. 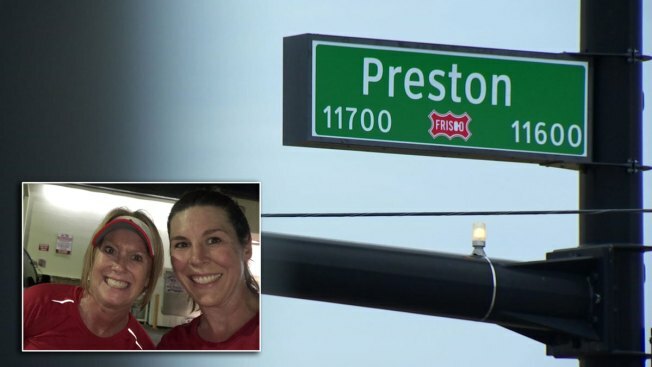 He was driving to work near Preston Road and Eldorado Parkway when he spotted Sheri Devore and her friend trying to escape the coyote. “We were just trying to beat it off, like I was using whatever I had, my water bottle, keys and my lanyard," Devore said. "The coyote was sitting there, like he was waiting for us to get back out," Harvey said. "At this point we do believe it's just one coyote acting very abnormally and extremely out of character for coyotes in this area," said Sgt. Jeff Inman with the Frisco Police Department. A Frisco officer captured video of the coyote stalking a runner on Nov. 11. So far, there have been five documented incidents in two months. At least four people have been attacked, including a 9-year-old. Sheri Devore, one of the two joggers attacked Monday, said her injuries were minor. Her friend Marcia Foster had several puncture wounds that required a rabies shot. Both are now out of the hospital and hoping others heed the warning from police to avoid the area along Eldorado, where the coyote seems to live. "Our animal services has been working very hard, day and night and weekends trying to catch the animal," Inman said. Police said they're on watch. The city also hired a private contractor to hunt the animal down. Meanwhile, Harvey said he's thankful he was in the right place to help. "They were in distress and I just couldn't keep going, I just couldn't," he said. A map shows the location of a recent string of coyote attacks in Frisco. The attacks have all happened in a two-mile stretch of Eldorado Parkway, west of Granbury Drive. They've all been before 9 a.m., so police said don't jog, bike or walk here and report the coyote if you see it. If it's just a sighting, residents are urged to call the non-emergency line, 972-292-6010.